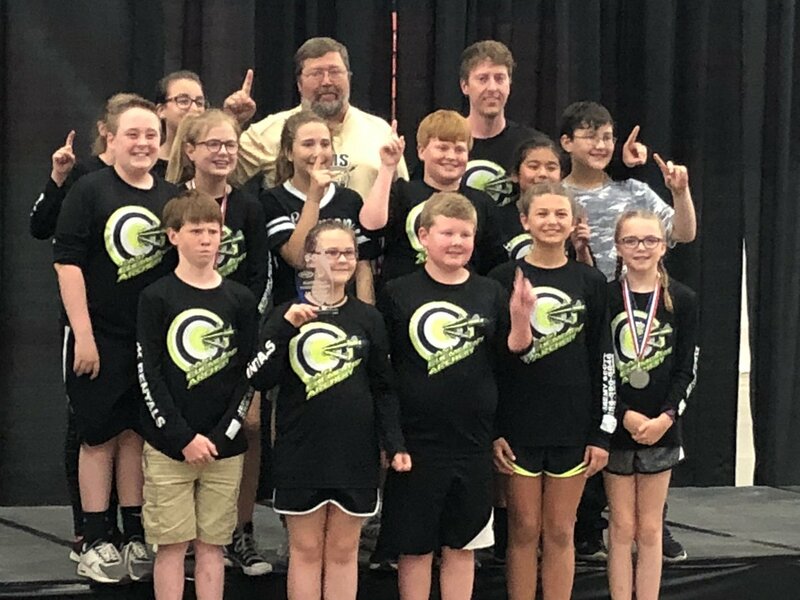 LOUISVILLE, Ky. – A handful of local archery squads made their way to Louisville, Kentucky over the weekend for the 2018 National Archery in the Schools Program (NASP) national tournaments, and one of them even brought home a national title. East Elementary took the top the prize in this year’s International Bowhunting Organization (IBO) shoot, finishing with a score of 1,660. East also managed to take home second place in the bullseye event. East Elementary Coach Branch Whitlock knew after watching his team shoot that they had a chance to win it all, but he didn’t realize how well they really performed until after all the results were in. Whitlock said he knew by the end of the year that he had a special team but back at the start of the season, he had a lot of questions about his 2018 squad. Cullman Middle School finished sixth overall in the IBO shoot after posting a 1,670, Vinemont Middle School placed 24th with a score of 1637 and West Point High School posted a 1,370 to finish 96th. East Elementary also came up with a second-place finish in the bullseye event after posting a score of 3,260. Vinemont Middle School and Cullman Middle School finished 28th and 33rd in the bullseye event, respectively and West Point Middle School finished the event in 214th place nationally. West Point and Good Hope High Schools were the only local high schools in Louisville over the weekend and finishing in 98th and 157th place in the bullseye event, respectively. Vinemont Elementary placed 28th in the IBO shoot and 21st in the bullseye event over the weekend, but the standout during the trip for the Eagles was fifth-grader Kayden Henderson. Henderson finished in third place in the bullseye event, finishing ahead of more than 2,000 other elementary archers with a score of 288. Alongside Henderson, there were a few more standout performances in Louisville from local archers. East Elementary’s Allie Stewart took fourth place in the bullseye event with a final score of 283, Hayden Scott finished sixth for East in the IBO shoot with a score of 283, and East’s Ava Ray finished second in the IBO shoot with a score of 282 just ahead of Stewart, who finished third. East Elementary also had five girls finish in the top 10 of the Ministry 3D Tournament, starting with Arianna Scott. Scott finished second with 278 points just ahead of Allie Stewart and Ava Ray, who finished third and fourth, respectively. Brianna Willoughby also cracked the top 10 with a seventh-place finish just ahead of Lillyann Powell in eighth. East Elementary’s boys also had a big day in the 3D Ministry shoot. Hayden Scott took second place after posting a 282 and Evan Dockery was right behind him in fourth place. Jack Yeager put together a seventh-place finish in the shoot, with Cole Burnham rounding out East’s top 10 performers in ninth place. Top six finishers for each time in each event. Top six individual scores count toward the team’s total.